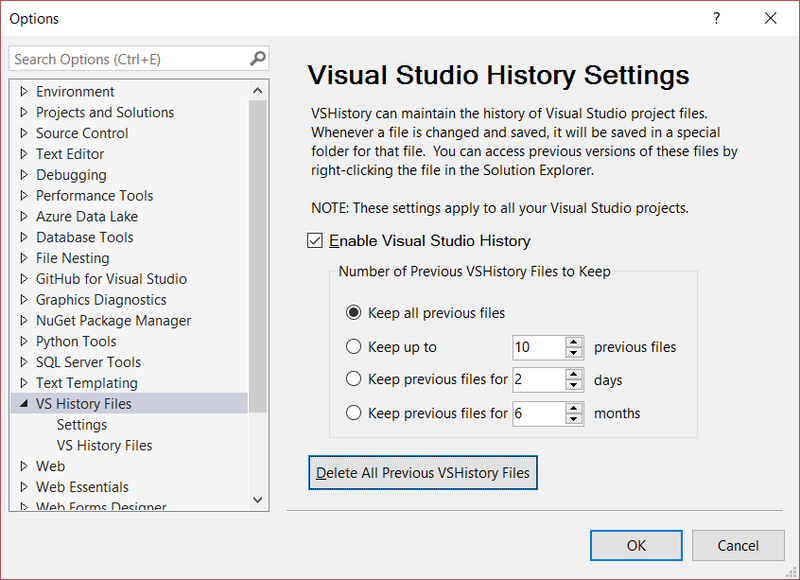 VSHistory maintains the history of files in your Visual Studio projects every time they are saved. Any saved version can be viewed or a diff with the current version can be displayed. 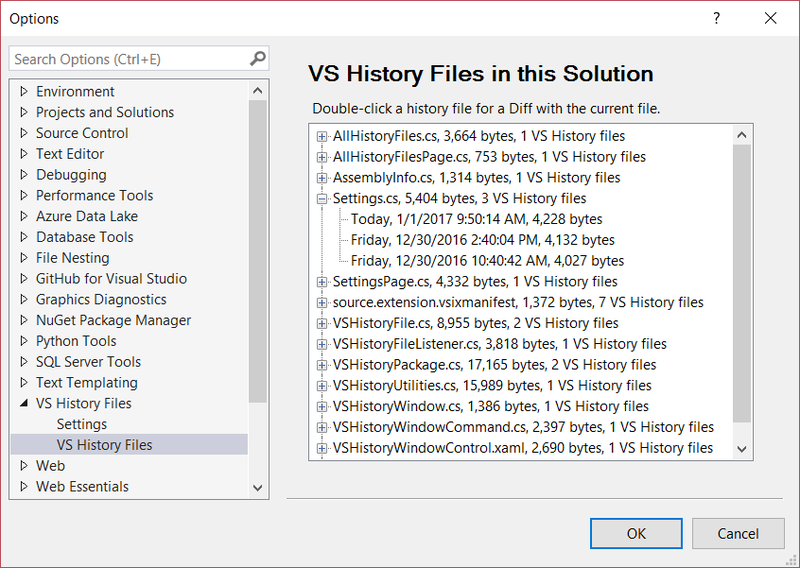 VSHistory for Visual Studio saves a copy of your files every time you save them. They are stored in a compressed .vshistory directory in each project and can be opened or differences with the current file can be viewed. A custom VSHistory tool window displays each version of project files as they're saved. 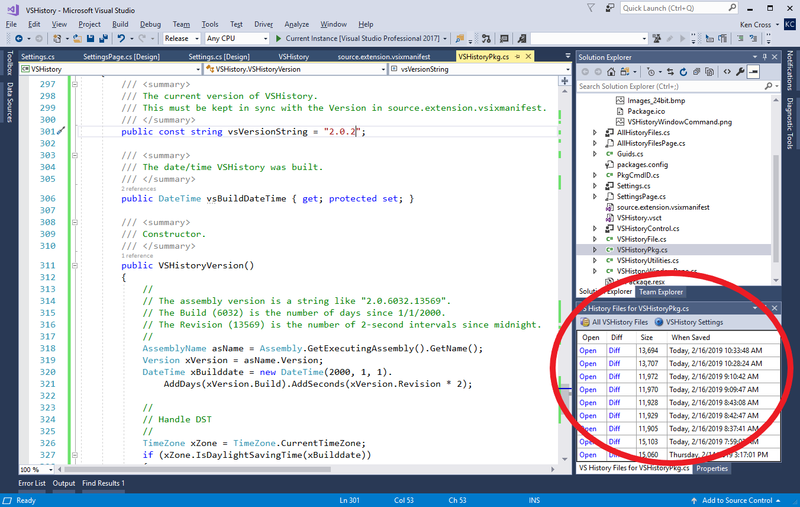 Each version can either be viewed in a VS window or a difference between that version and the current file can be displayed. You can see a diff of any version with the current file by clicking Diff for that version in the VSHistory tool window. Clicking Open will simply display that version of the file. Double-clicking a version will display a diff of that version with the current file. When a file is deleted, its file histories are kept. To view them, open All VS History Files. The files that were deleted will have (deleted) next to their name. Double-clicking a version will display that version.